If you love Vietnam by its absorbing natures, this is the right page for you. Vietnam adventure Tours are the collection of trekking, hiking, kayaking, riding, etc. Many activities with proper combination are arranged to provide to you the most exciting time in Vietnam. You will have more time to dig deeper the major sites in the highlands. Almost time, you are the adventurer who immerse themselves into the heart of mountain ranges or hill-tribe villages. 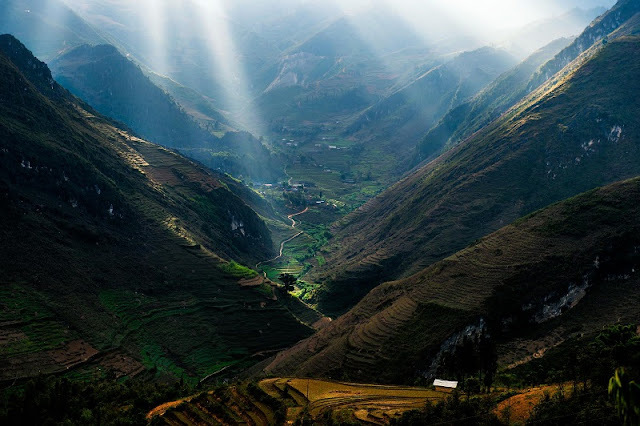 Your adventure tours, sometimes it is a trekking journey in the north Vietnam with the curves of rice-terraces, other rustic area of Ethnic people with houses on stilts; sometimes it is an Off the beaten track with wild animals, strong waterfalls or authentic life. Northern mountains regions - an outstanding destination for adventure tourism in Vietnam. 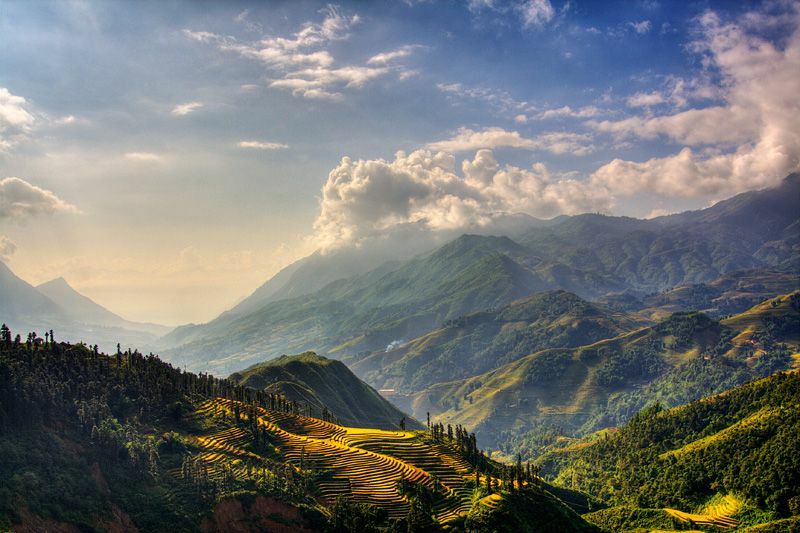 In fact, the vast mountainous area in Northern Vietnam takes up a third of the country’s total land area. Here you can explore the authentic culture of various ethnic groups while staying away from the crowds or go on exciting adventures while gazing at superb rugged mountains. A region of contrasts - from the refined colonial architecture in Hanoi to the dramatic tiered landscapes in the hills around Sapa and the sublime beauty of the karst islands in Halong Bay. The north of Vietnam offers wonderful opportunities to meet indigenous folk in the mountains as well as live it up in one of Asia’s most exciting cities in Veitnam's capital Hanoi. As well as the delights within its own boundaries the north of Vietnam shares borders with Laos and China and combinations with both these countries are possible for those wishing to take in more than one destination whilst in the region. The Northern Vietnam – a land of heritage sites and original culture will be arranged tidy in a 09 day Vietnam adventure travel. Not only have beautiful beaches, Central Vietnam is also known for its interesting activities and attractions. 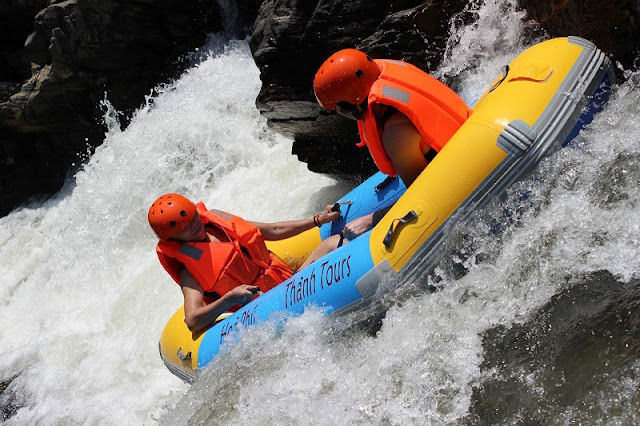 Adventure is guaranteed even for the most experienced thrill seekers with many exciting activities throughout the most superb and interesting places in Central Vietnam. Experience the thrill of Ziplining and passing the one-wire-rope bridge. Conquer Hai Van Pass called by Top Gear "a deserted ribbon of perfection—one of the best coast roads in the world". And try local experience by farming and fishing with vietnamese farmers in lovely village of Hoi An. All of the experiences will make this the trip of your life time. 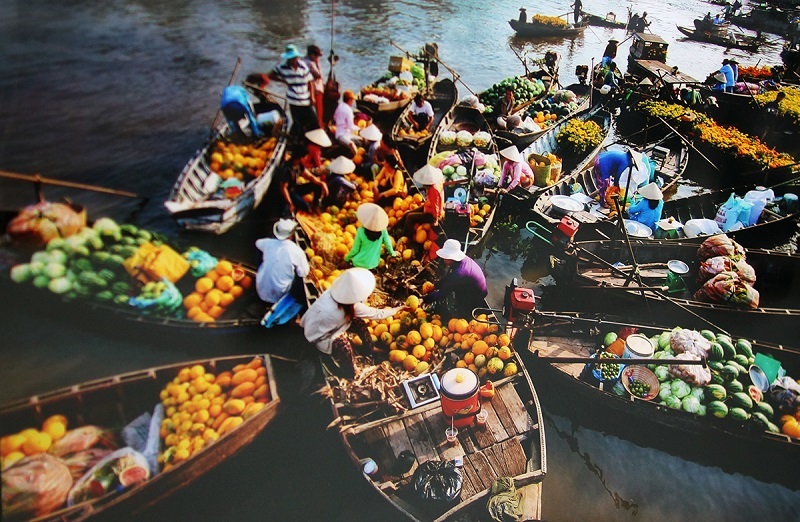 Or simply join in the fun, busy life in Ho Chi Minh City, or friendly meeting on a bamboo boat in the Mekong Delta. That may be a simple thing sure it will be one of the images deep in your heart about Vietnam beautiful. The joy will be much happier when you rub yourself into the actual experience. Let us - Vietnam Typical Tours warm your heart !